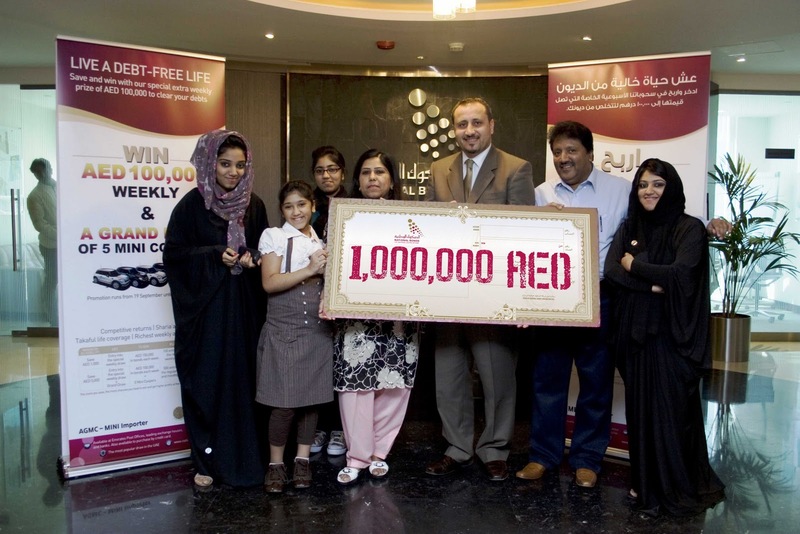 Dubai, UAE 22 January 2011: National Bonds has announced the winner of its December million dirham prize as well as the latest person to walk away with AED 100,000 from the hugely successful ‘Live a Debt Free Life’ weekly draw. Pakistani Shabana Taj and British National Ann Marie Cook have become the latest female bondholders to join the National Bonds prize winning family. Already one of the biggest draws in the region, National Bonds is the leading Sharia’a compliant saving scheme in the UAE and rewards 22,250 prizes to its bondholders every month including a monthly draw of one million dirhams in addition to special promotions. Taj and Clark are two of the huge number of female bondholders to be rewarded for saving with National Bonds since its inception in 2006, with total prizes presented to women amounting to more than 86 million dirhams. According to the data released by the innovative savings scheme, the number of female bondholders increased by 8 per cent between 2009 and 2010, a clear demonstration of the market segment’s potential and the increasing number of women who are taking the control of their finances. Women have also revealed a winning streak, representing a third of all National Bonds prize winners since 2006 and to date, 36 per cent of National Bonds’ millionaires have been women. “Our data prove that women are becoming increasingly aware of the role they play in contributing to the financial health of their families, via responsible spending and well planned monthly savings habits. We believe in making saving a rewarding experience and want to contribute to the future success and development of our female bondholders. We hope that these data which represent positive behaviors will reach to all women and consequently all the families in UAE and across the region, to showcase the benefits of saving for a better future,” commented Mr. Mohammed Qasim Al Ali, CEO of National Bonds Corporation PJSC. Following the 2010 launch of the company’s first ever Savings Index that revealed that 27% of women in the UAE save regularly post the recent financial crisis, National Bonds has pledged to play a pioneering role in developing a savings culture amongst women in the UAE. “We believe there is nothing more important than helping women to secure their future and that of their families. Consequently we are committed to providing the tools and knowledge that will allow them to achieve their financial goals, whether its buying their own home, being able to afford good education for their children or even start their own business,” added Al Ali. National Bonds certificates are available for purchase in nearly 560 outlets nationwide including, National bonds website, Emirates Post offices, exchange houses and banks. For more information, visit www.nationalbonds.ae or call 600 522 279. National Bonds, which is licensed and regulated by the UAE Central Bank, is a Sharia’a compliant saving scheme that provides UAE nationals, UAE residents and non-residents - with a credible and safe savings opportunity. Minors can also own National Bonds, provided the bonds are purchased by the parent/guardian. Each bond costs AED 10, with a minimum purchase of AED 100 National Bonds Corporation PJSC announced an annual profit of 3.54 % for 2009, which is higher than the market average of 3.25 % on savings and deposits. NBC’s cumulative profit rate of 16.64 % over the last three years is among the highest payout in comparison to any other similar savings schemes in the UAE.